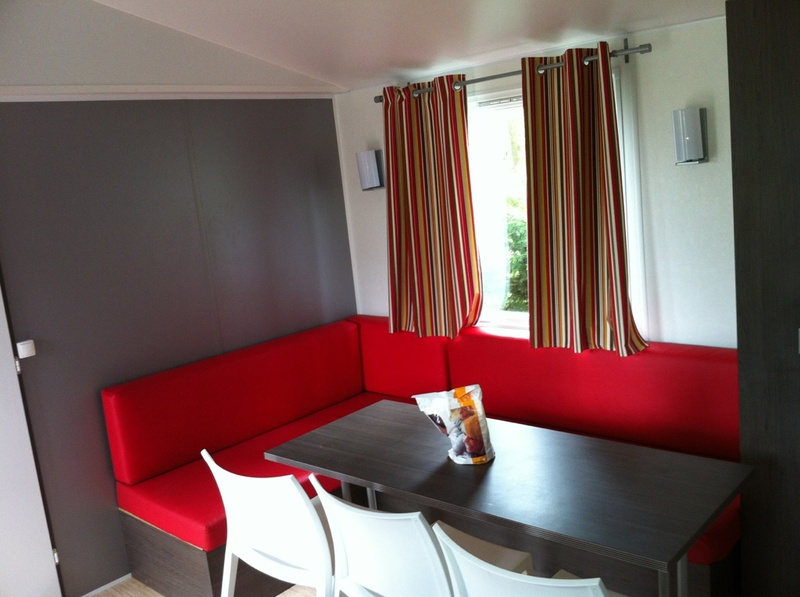 Hurongues campsite proposes for hiring several “design” mobil-homes with all comfort. 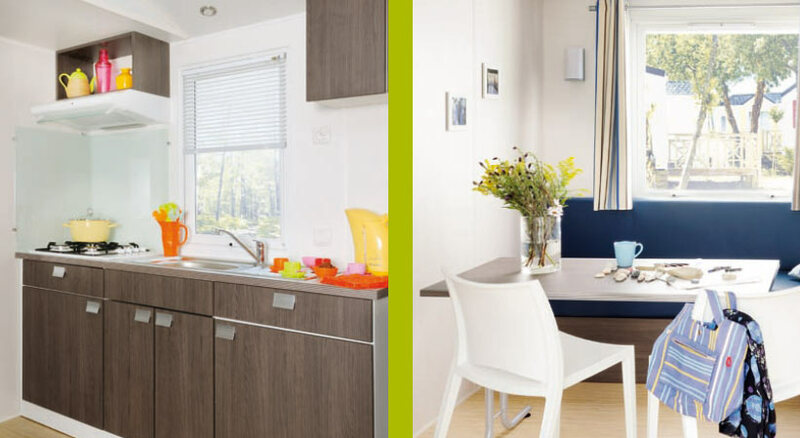 Interior design, free movement, furniture, household appliances…everything has been considered to offer you the best during your stay. 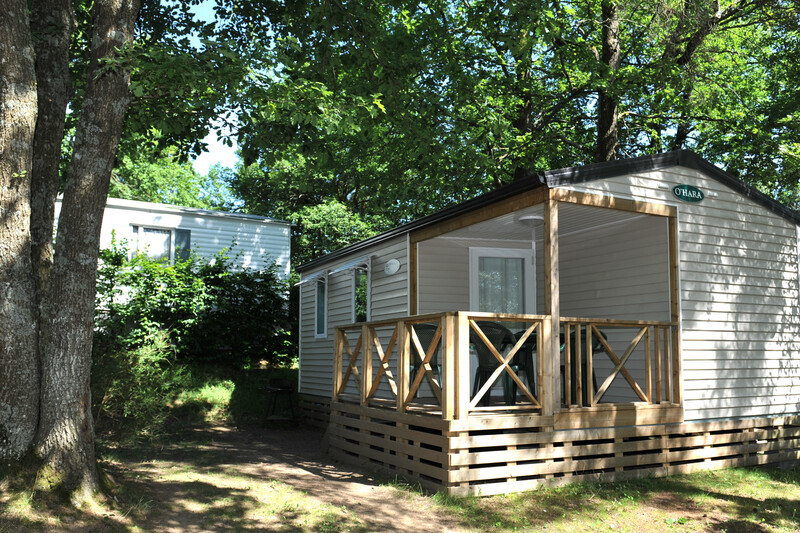 As Hurongues campsite is very concerned by sustainable development, our mobil-homes are fitted with low consumption lighting (LED). Micro-wave oven on shelf to give more space on the counter. 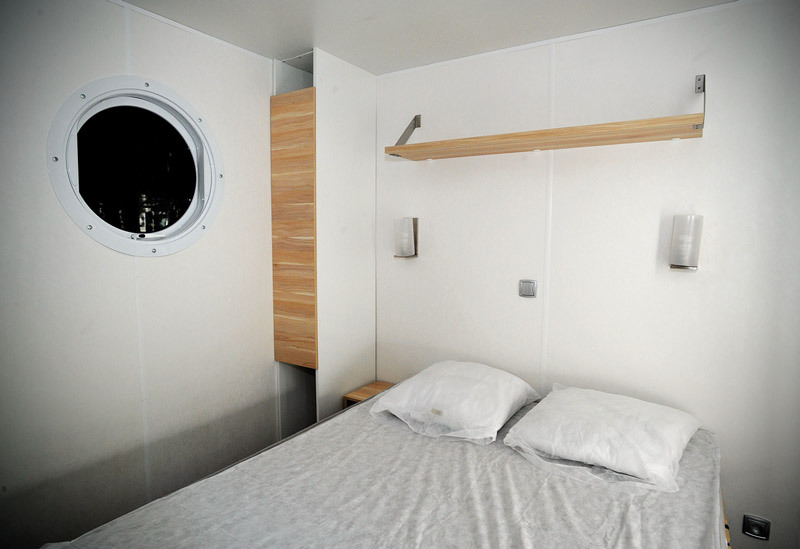 2 twin bedrooms with 2 beds 80*190 cm each. 1 large bedroom with its clothes rack. 1 bathroom with storage furniture under the vanity-unit and large side table with towels rack and hooks. 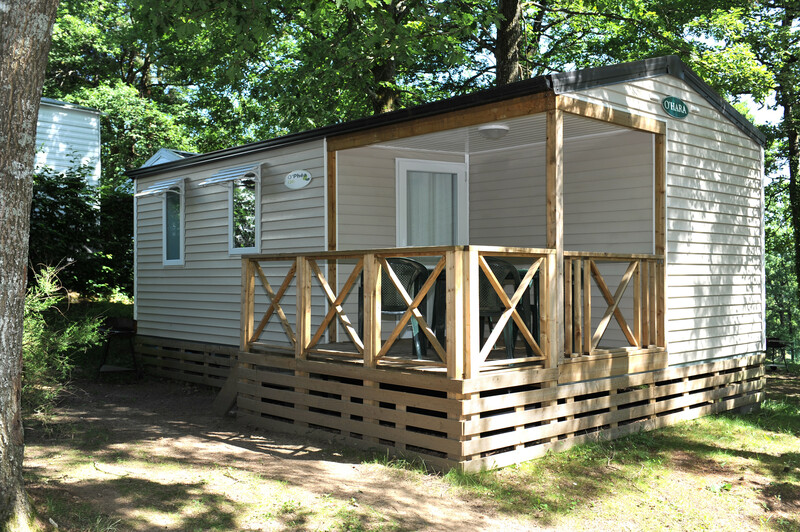 Offering also all the necessary equipment for families, with 2 separate bedrooms. Shaded terrace with garden furniture for optimum comfort in summer. 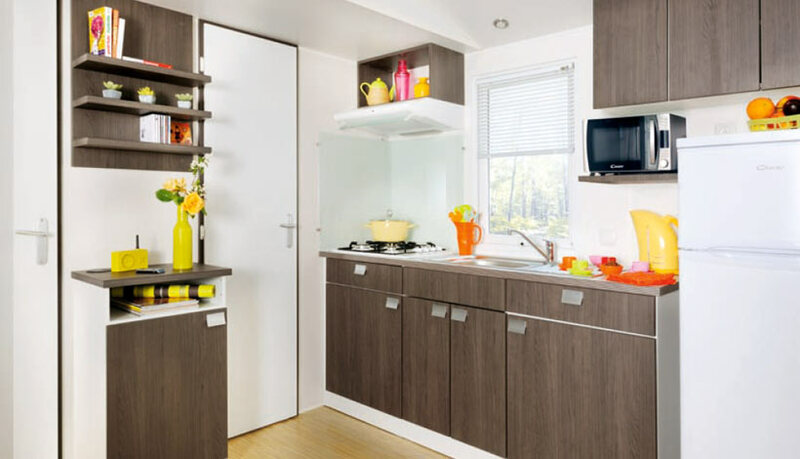 A box-section column for microwave oven , which let more space on the counter.